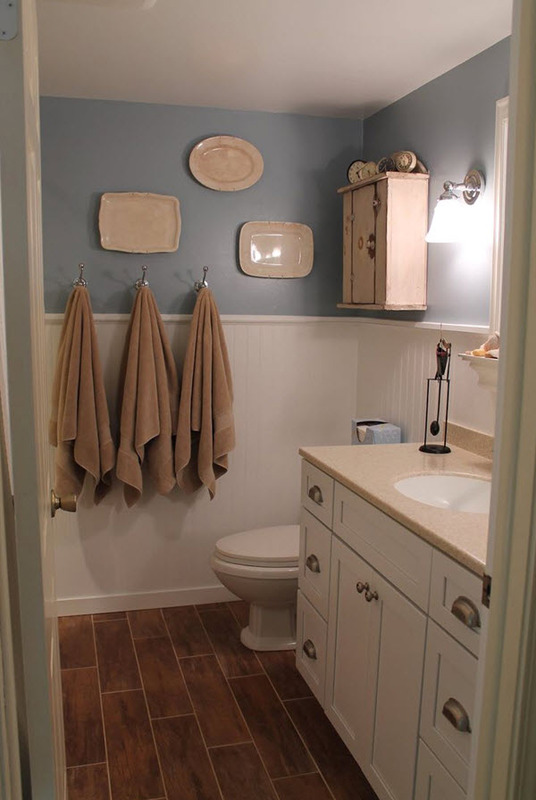 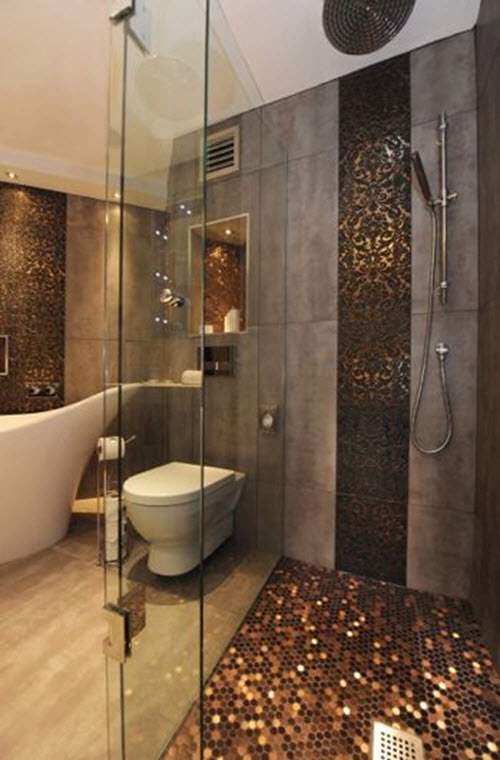 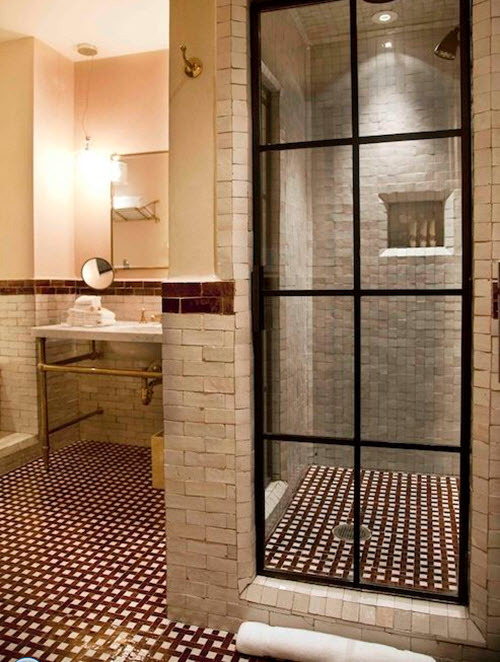 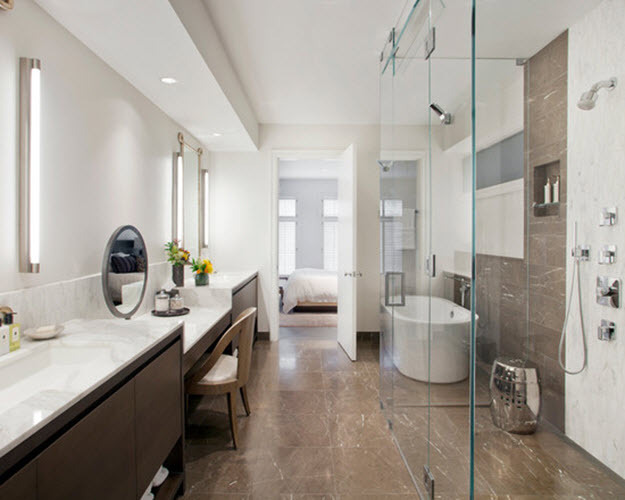 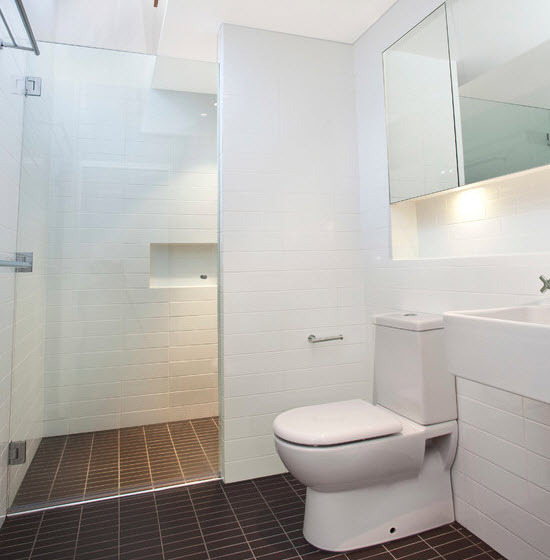 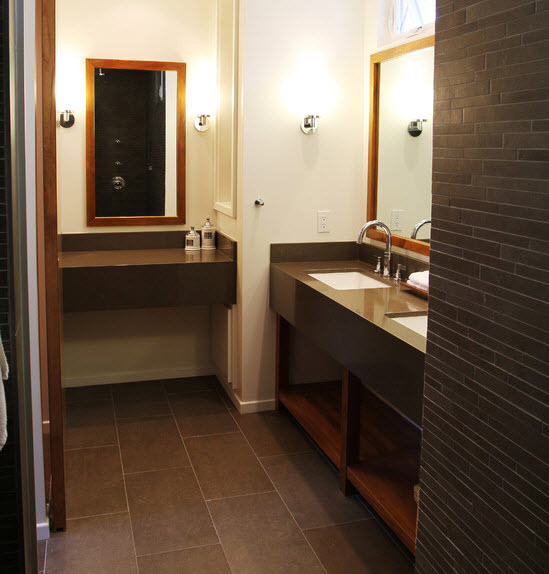 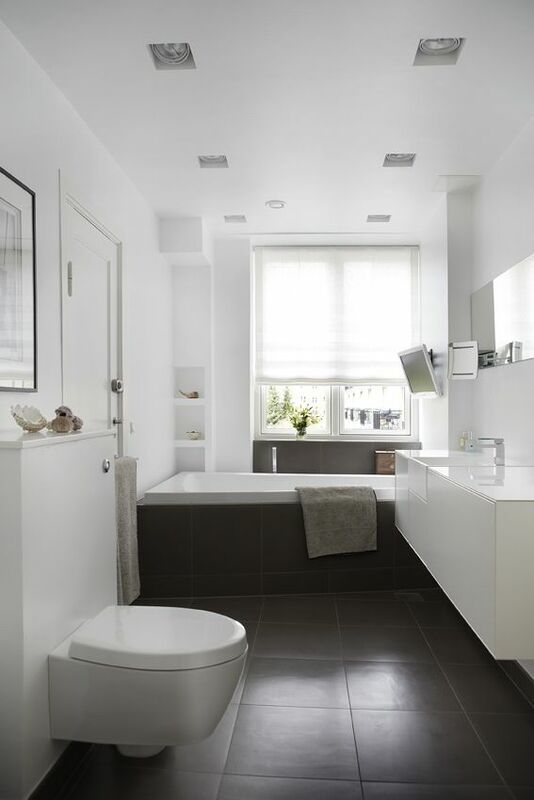 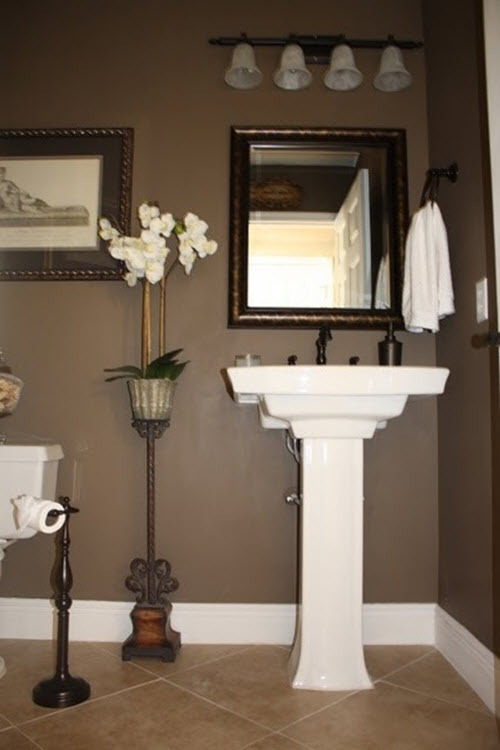 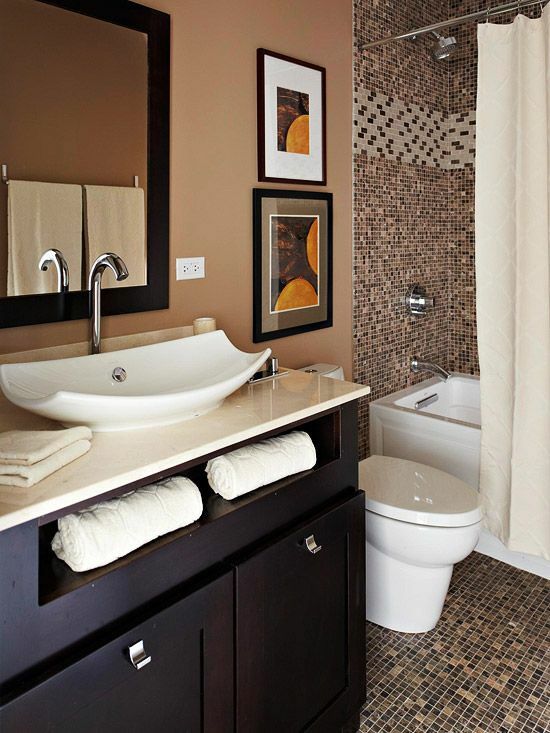 Brown bathroom is stylish, original and luxurious. 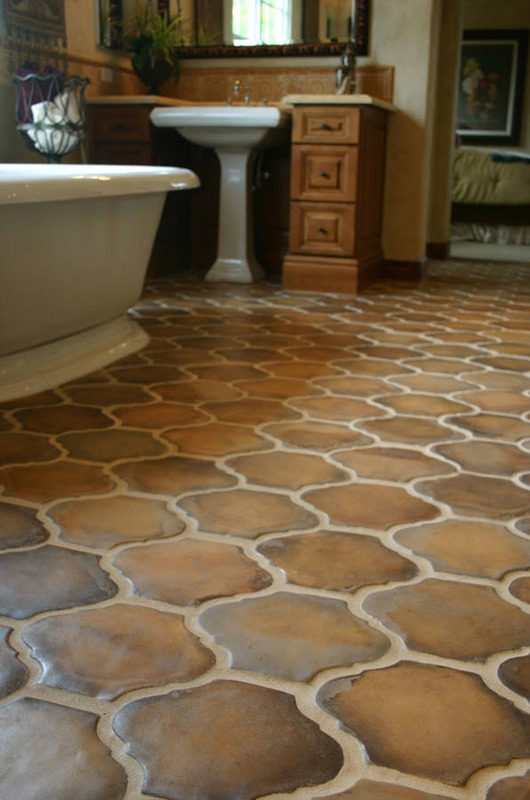 As brown color can be often seen in nature (soil, tree bark, mountain stones etc. 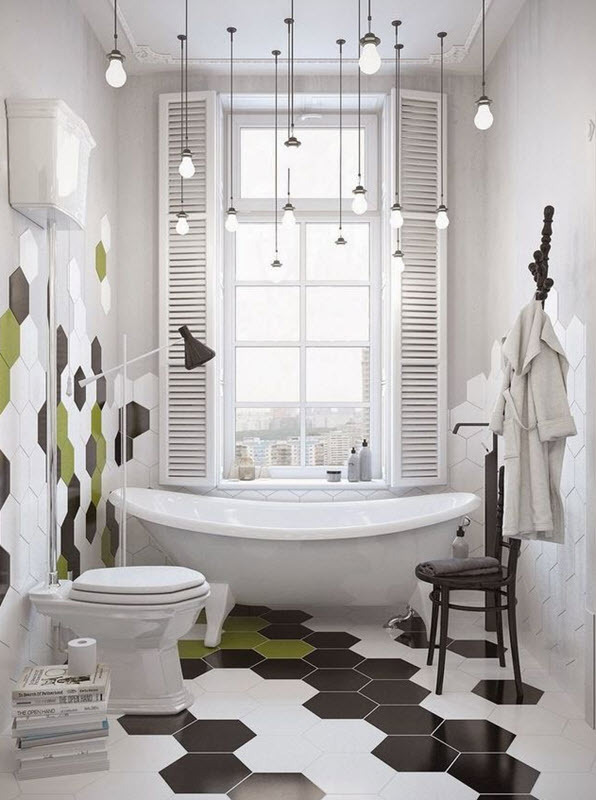 ), it is the color of constancy, harmony and balance. 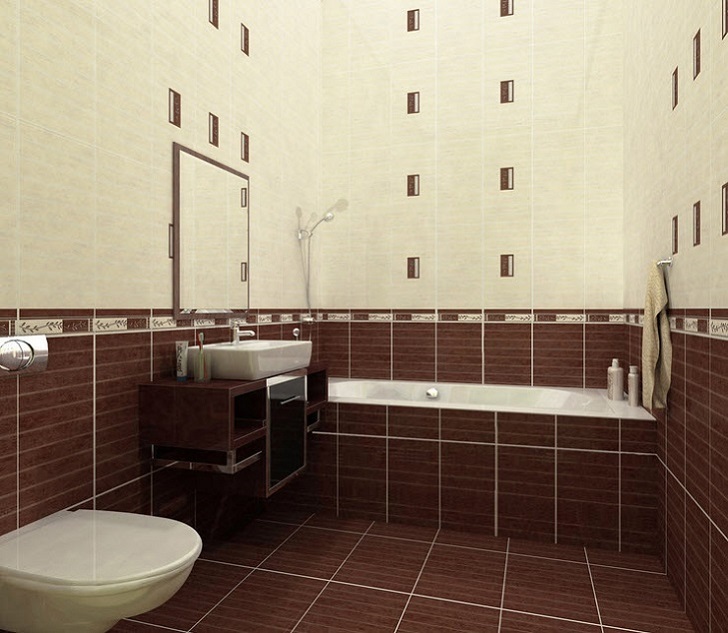 But brown is rather warm color so you need to dilute it with colder one when used in interior design. 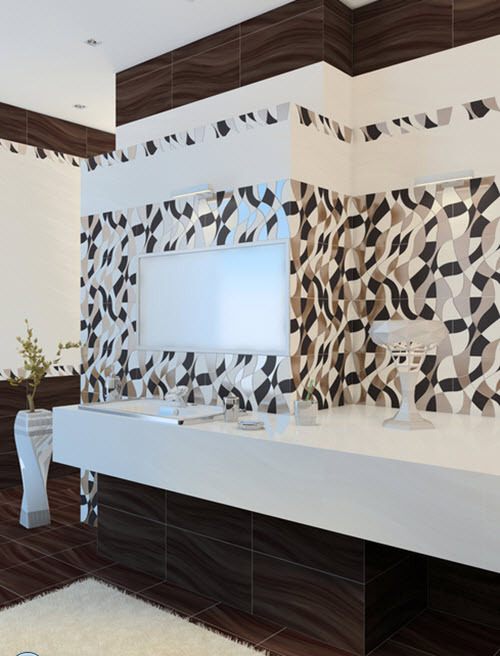 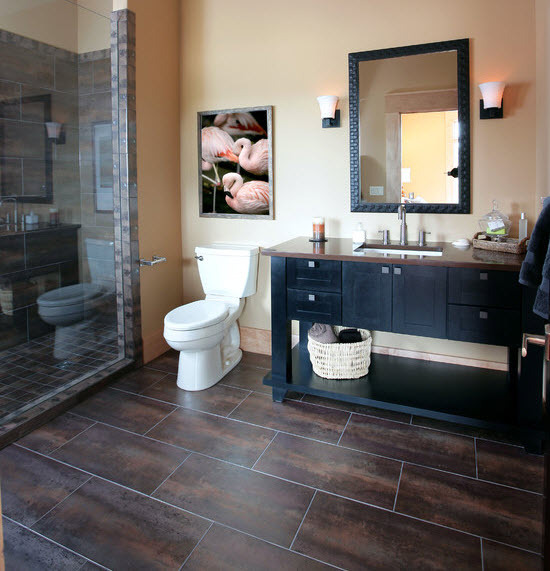 Brown color can be incorporated in interior of the bathroom by many ways and floor tile is one of the most popular and easy. 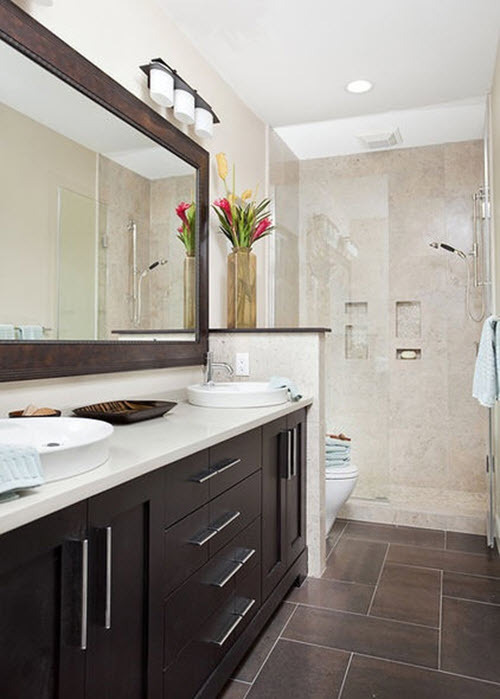 If you use brown all over the walls the room can become too dark and moody so you need to find ways to avoid that. 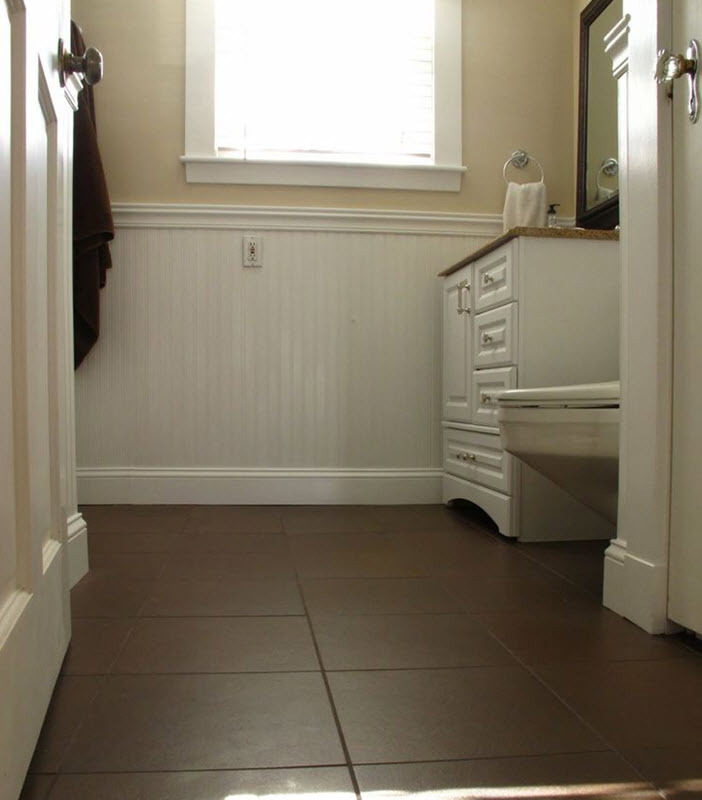 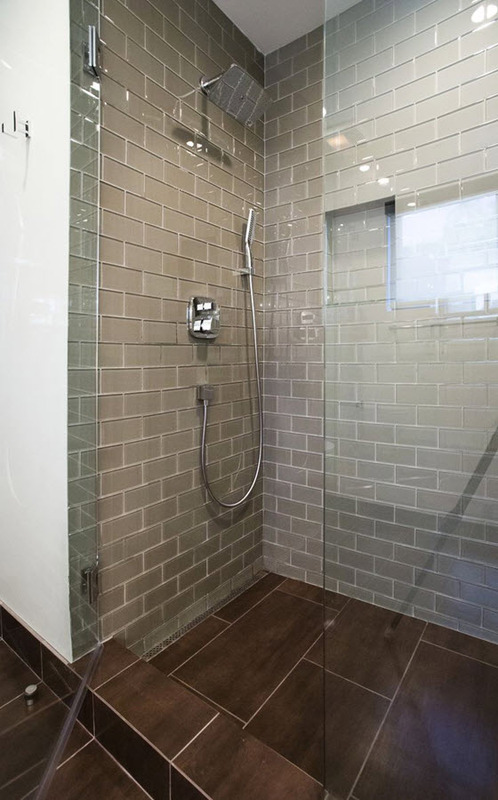 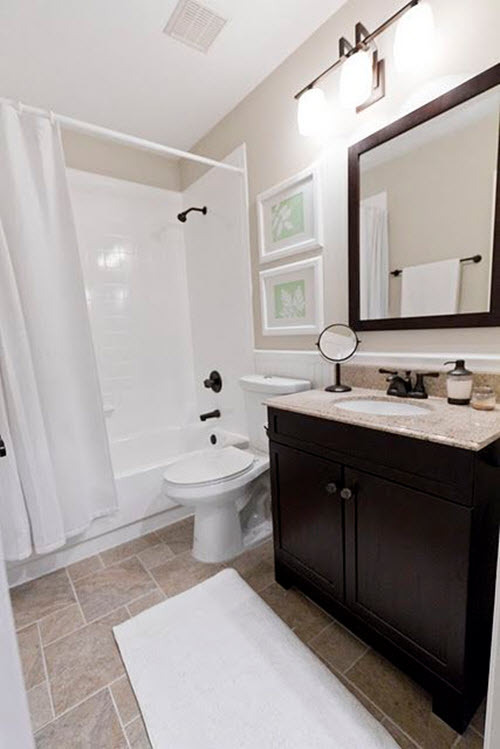 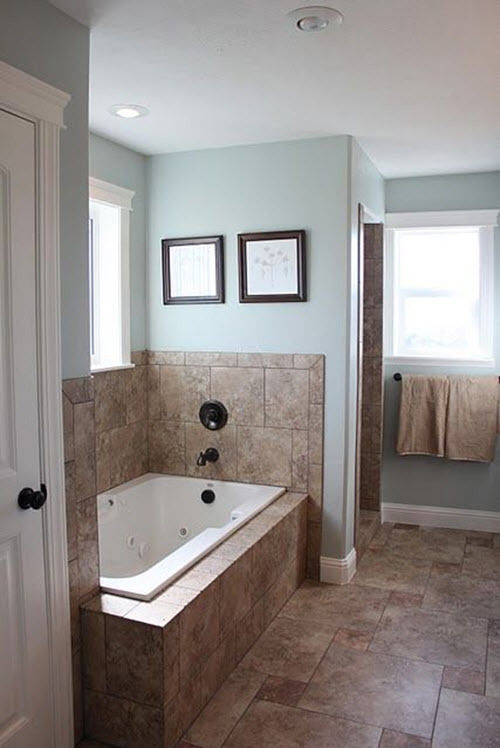 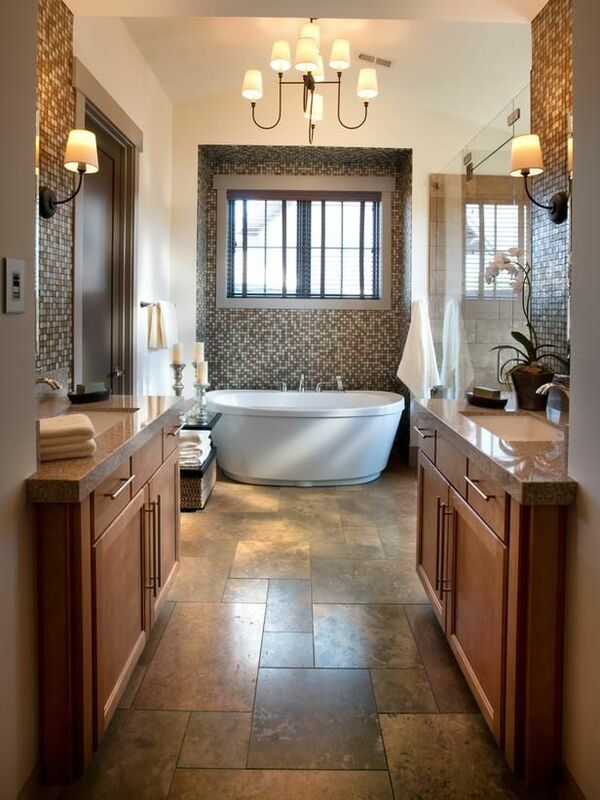 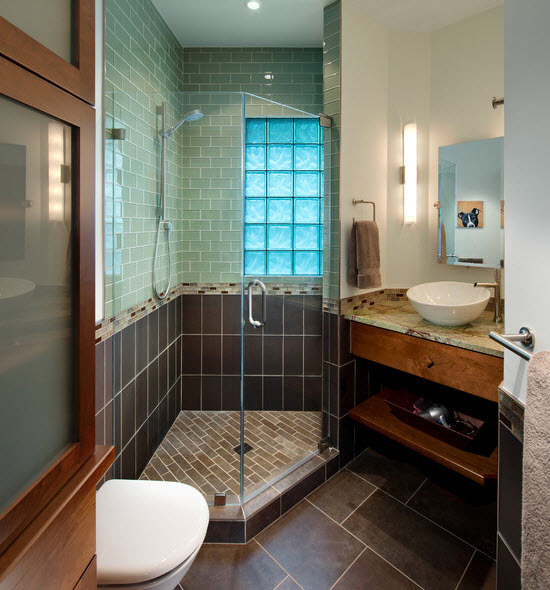 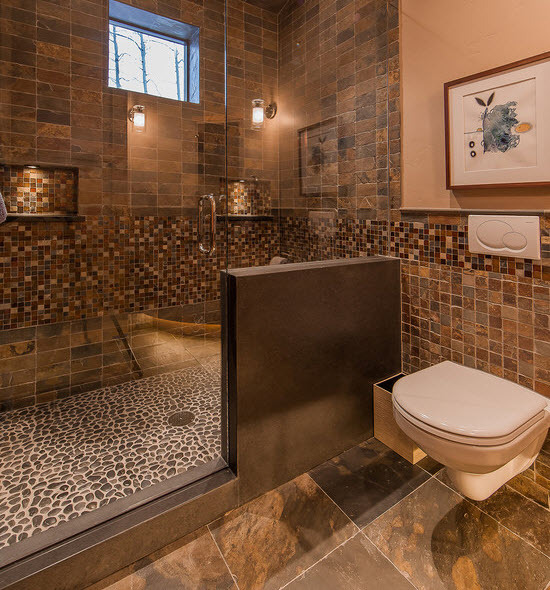 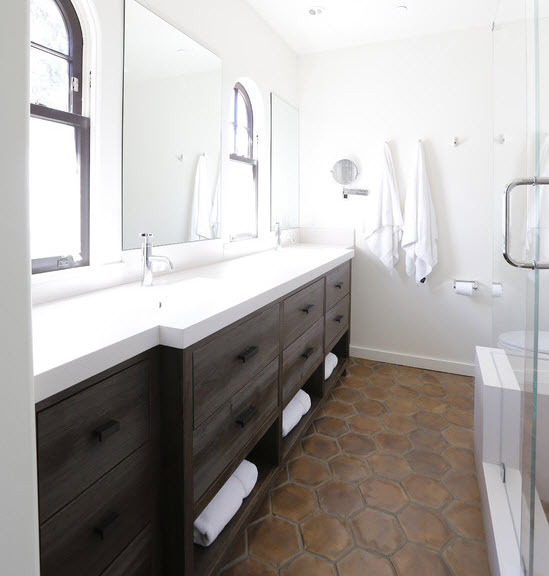 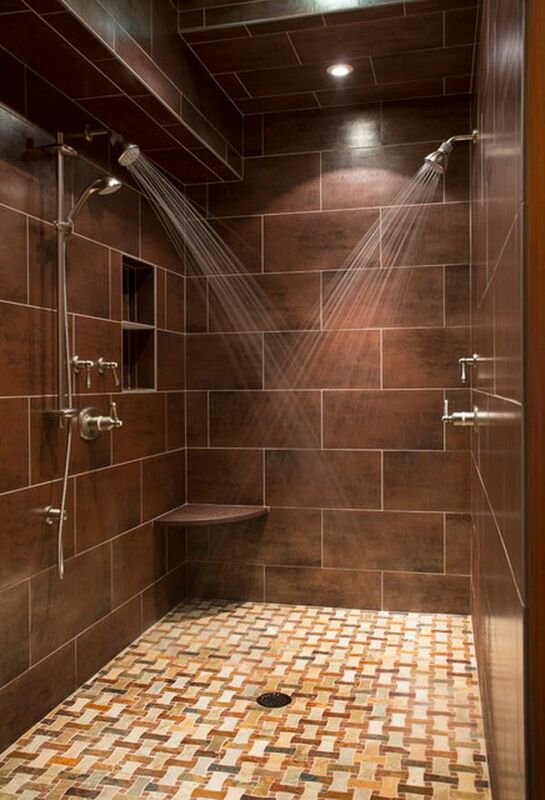 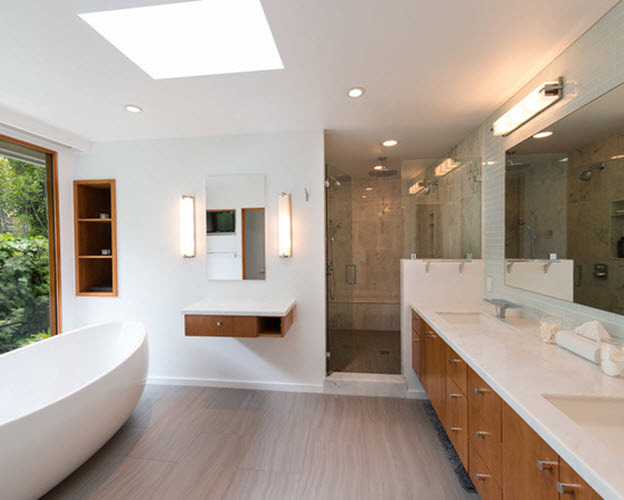 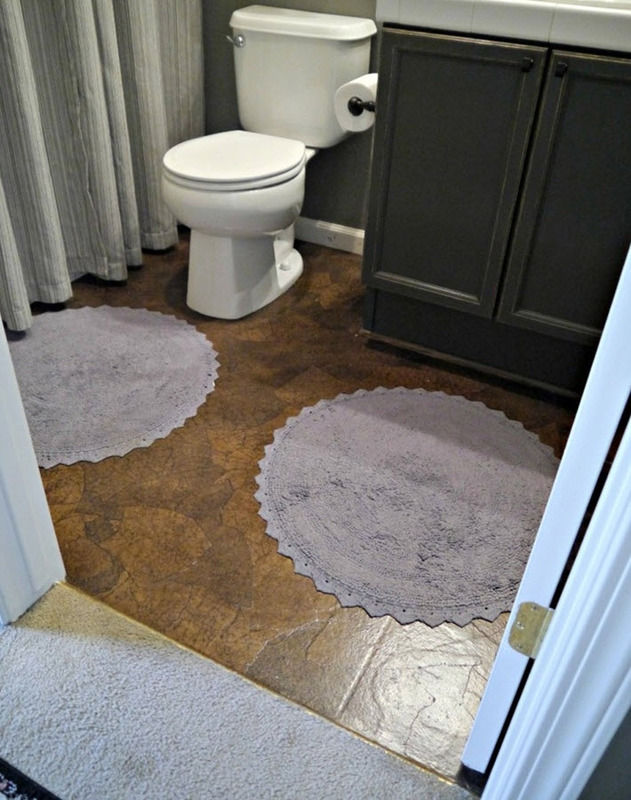 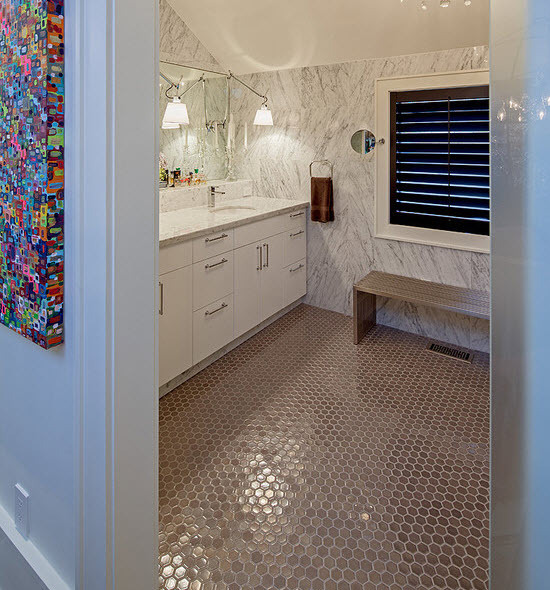 Using brown floor tile is perfect as it will help you add brown to the color palette of the bathroom and avoid dark atmosphere at the same time. 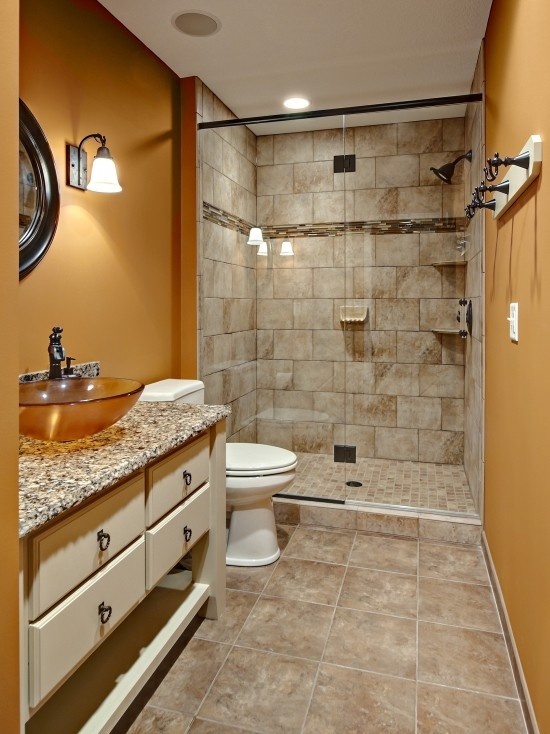 Besides, there are many shades of brown – from chocolate to light ones. 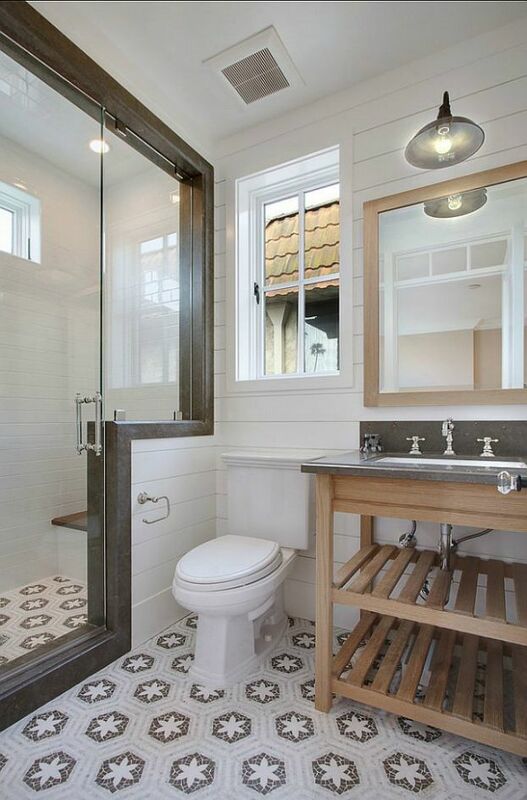 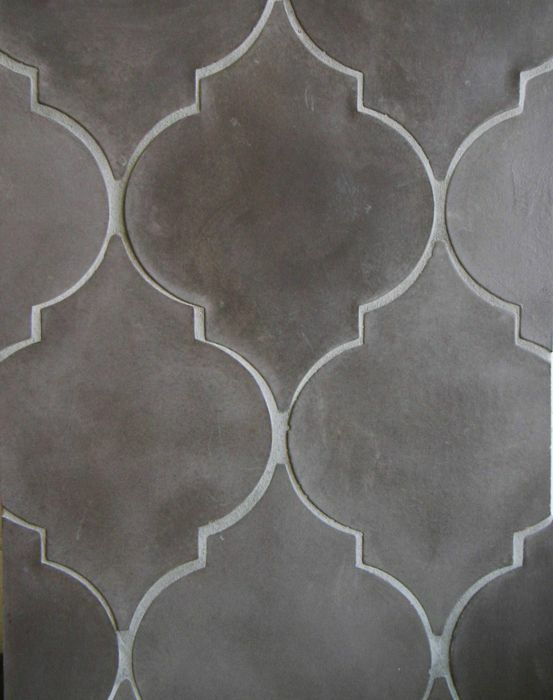 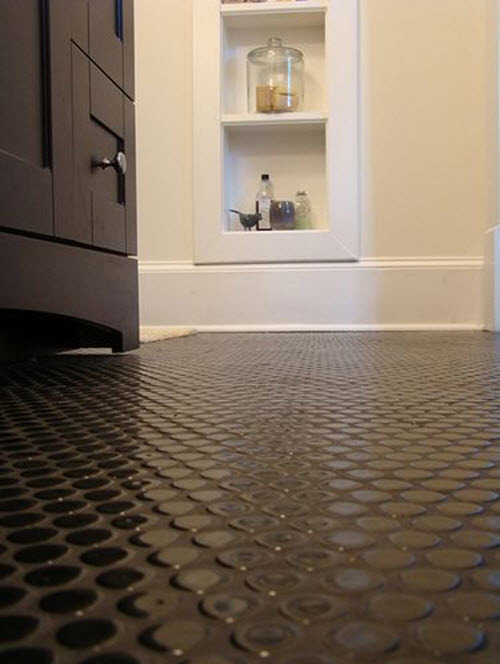 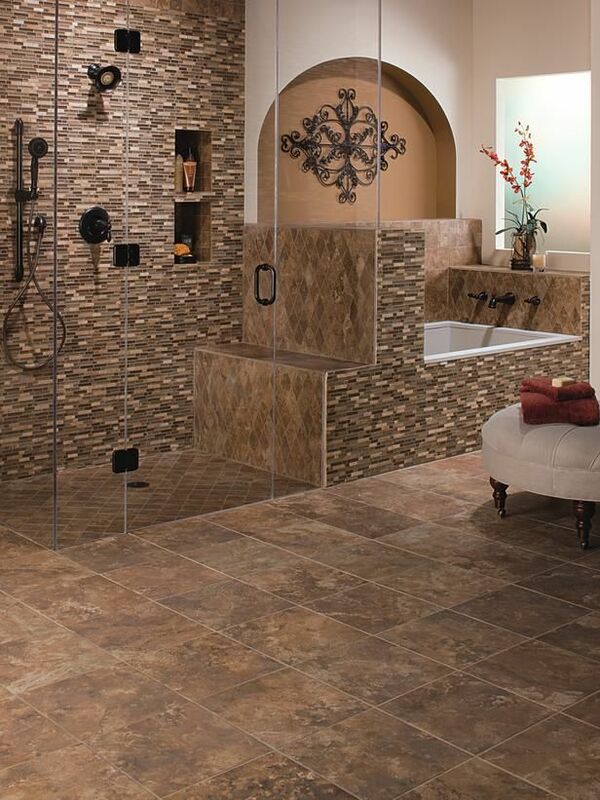 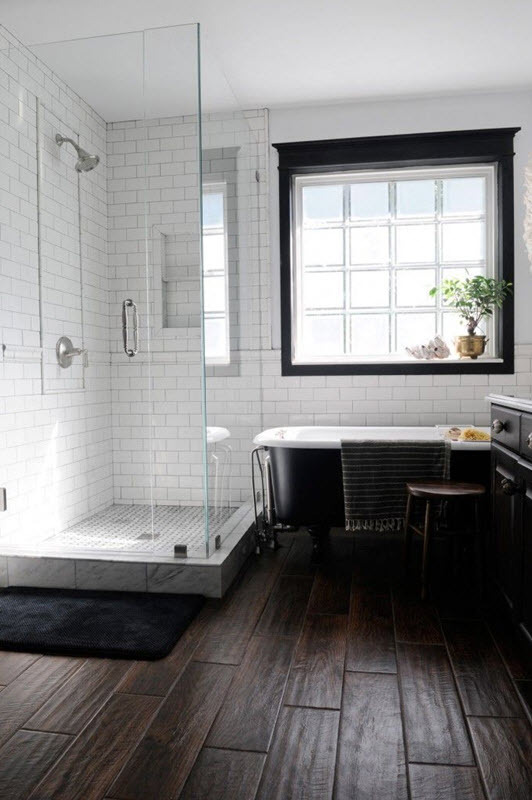 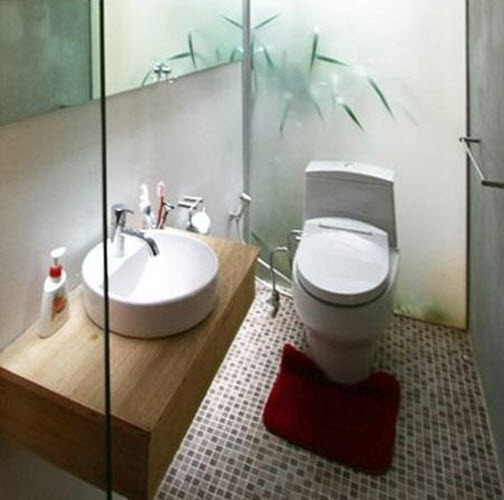 It’s better to use big slate tiles under your feet, especially if your bathroom is compact. 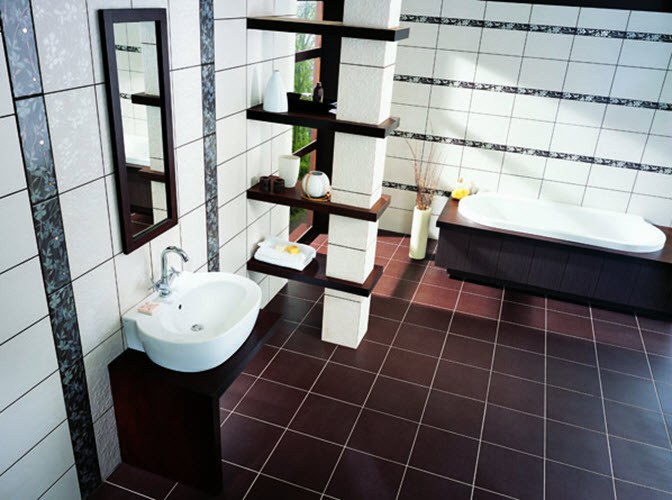 Brown bathroom floor tiles come in so many designs, shapes and sizes that it’s easy to get lost. 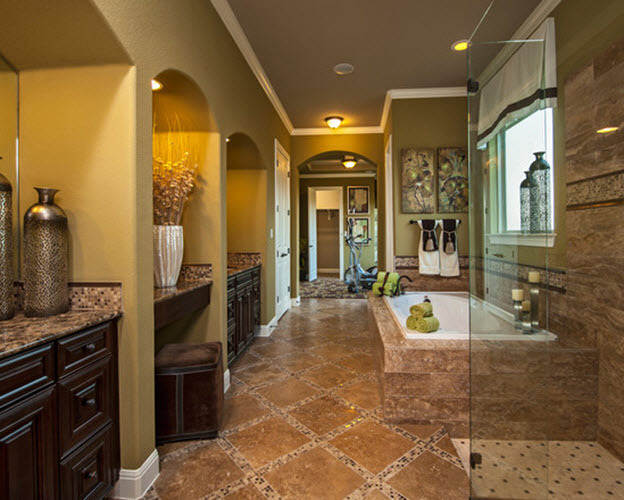 Don’t worry, we are here to help you – just look at these ideas below to find the best examples of brown floor tile for the bathroom.